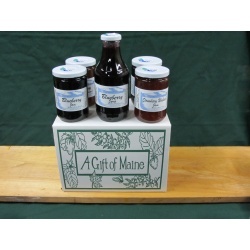 One 16 oz Fruit Syrup and four 15 oz Jams! 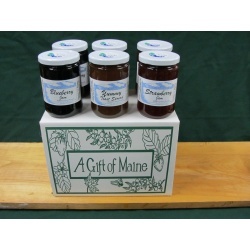 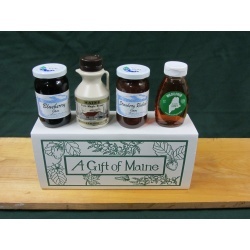 One 16 oz Maple Syrup and four 15 oz Jams! 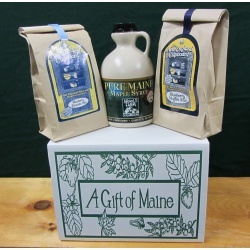 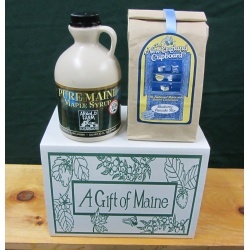 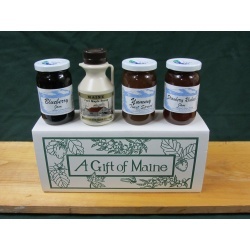 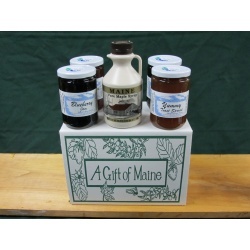 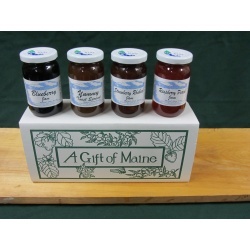 One 8 oz Maple Syrup and three 10 oz Jams! 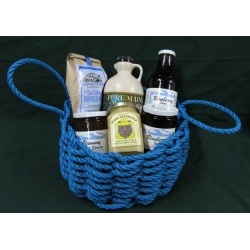 This handmade rope basket is the perfect coastal gift from Maine! 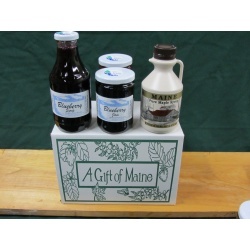 Packed to the brim with all the favorite treats in ample sizes that are large to share with the whole family time and again. 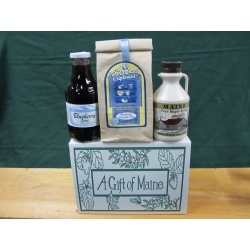 Call us to receive updated pricing if you wish to make any substitutions or additions.